The latest in Music, Fashion, Sports, City Life, Chicago Events and all things considered Dope..
Mac Miller continued his promo tour yesterday by visiting Funkmaster Flex at Hot97. Check out his very dope freestyle up above and be on the lookout for Watching Movies With The Sound Off. Pharrell stopped by the Hot 97 studios to visit Angie Martinez to talk about the success of his new record with Daft Punk and his track with Robin Thicke. Pharrell goes on to talk about Jay-Z’s new album, working with Kendrick Lamar, Schoolboy Q, Busta Rhymes and many more. Check out the interview above. Kids These Days met with Peter Rosenberg while in New York to talk about the origins of KTD, Traphouse Rock and much. This is definitely a good look for them. Check out the interview above. Hot 97’s Miss Info caught up with A$AP Rocky to talk about his breakout year, his debut album being leaked and much more. Check out the interview up above and pick up Long.Live.A$AP on January 15th. Action Bronson met up for a late interview with Hot 97’s own Peter Rosenberg. The two talk about old school wrestling, seeing ECW matches live, the best restaurants to check out in New York, Action’s debut album and much more in the very entertaining interview. Check it out above and be sure to pick up Action’s latest mixtape with The Alchemist here. A$AP Rocky recently met up with Hot 97’s Angie Martinez to talk about his relationship with Rihanna, fashion and much more. Rocky’s debut album, LongLiveA$AP, will be in stores on Halloween. 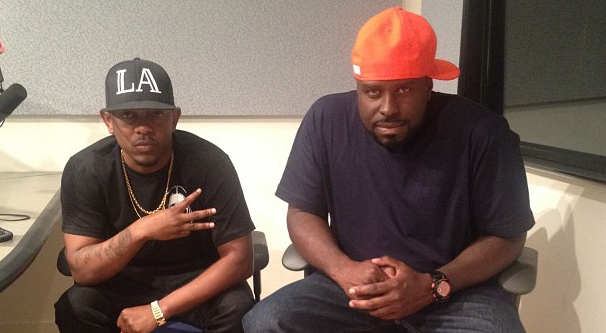 Tags: Funkmaster Flex, Hot 97, Kendrick Lamar, Who Shot Ya? May 9 Show. Click on image for details.